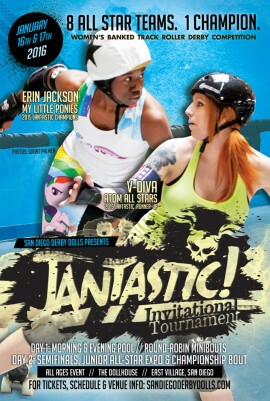 Join San Diego Derby United as the Jantastic Invitational Tournament moves into a new home at the 6060 Federal Derby Facility. In 2015, history was made with an invitational tournament that was nothing like we’ve ever seen before! Jantastic brought together 6 mixed teams, all made up of some of the best roller derby players across the country, into one action-packed weekend on the banked track. The results were some of the most intense, hard-hitting, and thrilling games the banked track has ever seen. Since its first year, Jantastic competitors have come together to raise the stakes with each game. Past years have seen champion teams like My Little Ponies, and Southwest Smackdown, fight their way through the brackets to come out on top. What new champions will we meet in the next tournament? 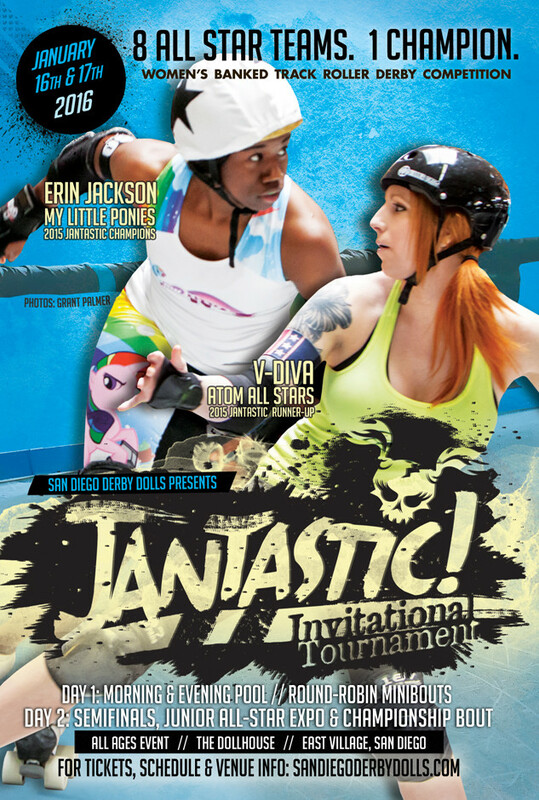 250 roller derby fans will be on hand to watch Jantastic evolve in this new space. Be sure to follow along here to see what’s new! FIND OUT EVERYTHING ABOUT THE INVITATIONAL HERE!